A few days ago I shared an article on Facebook about fake olive oils that are invading the market and grocery store shelves. Olive oil, considered one of the healthiest items of the our “Dieta Mediterranea”, is unfortunately easily susceptible to fraud and sophistication. Even major brands of olive oil have been laboratory tested and many of them contain lower quality vegetable oils that could cause adverse health effects. These oils were mixed, coloured and flavoured before being sold as “extra virgin” increasing the profits of dishonest companies at the cost of our health. We deserve to know what we are buying but unluckily as we have seen, the labels are not always a guarantee of quality. 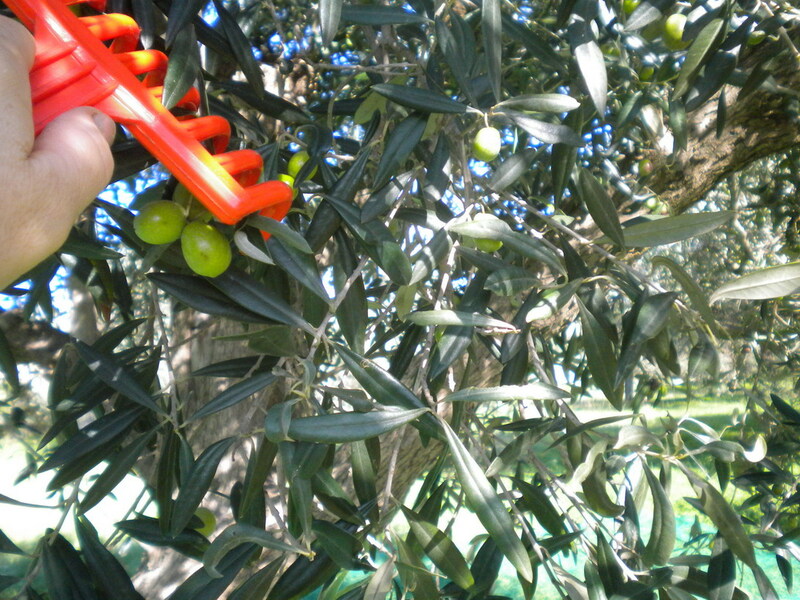 This is the reason for which I personally visit the olive groves of the Bonomo Azienda Agricola from Sicily and the olive mill where the olives are processed. 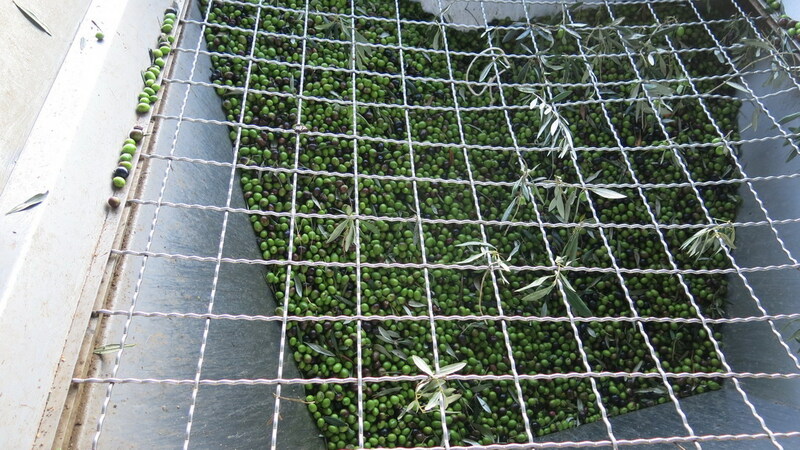 Olive oil is nothing more than the juice extracted from olives. Being a fruit, olives contain natural antioxidants that protect the plant during its life and are very good for our health. 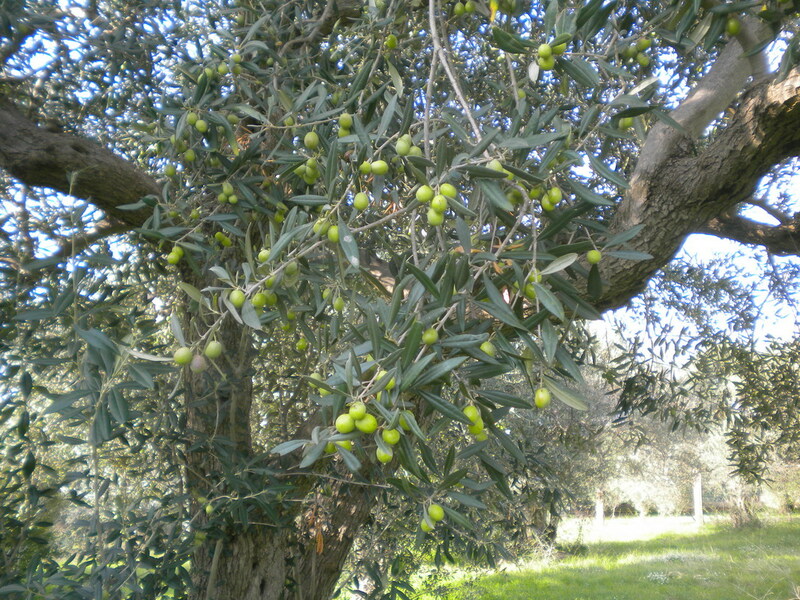 The olives are hand picked while still green. 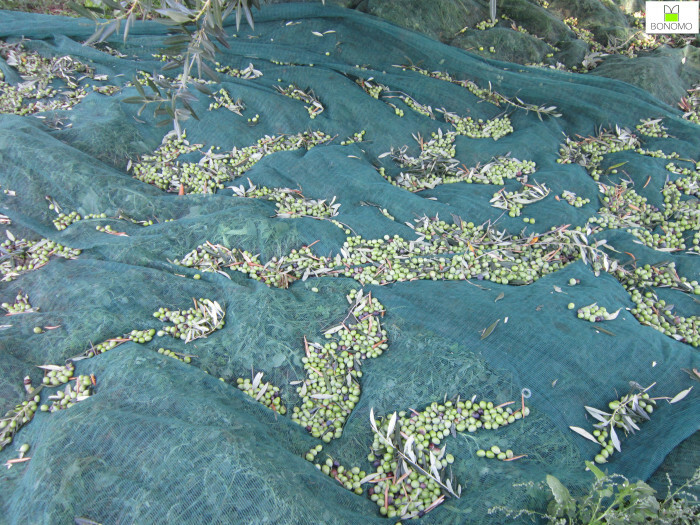 The olives fall on the nets placed under the tree so old olives from the ground are excluded. 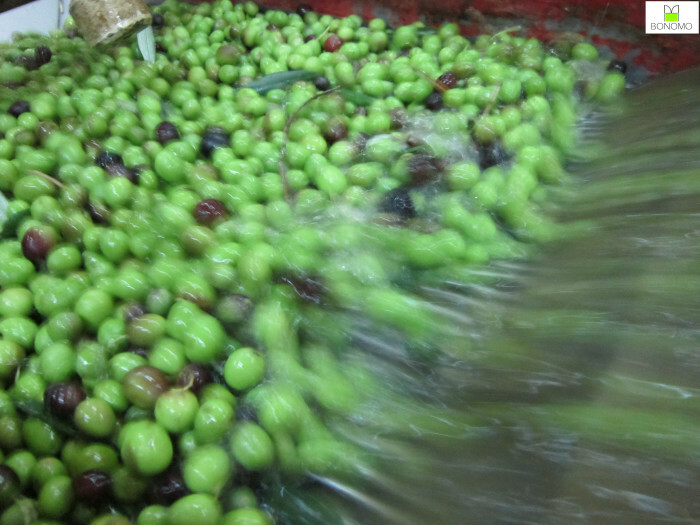 The olives are brought to the oil mill and processed within 24 hours from the harvest.It takes from eight to ten Kilograms of olives to make a litre of oil depending on the season. 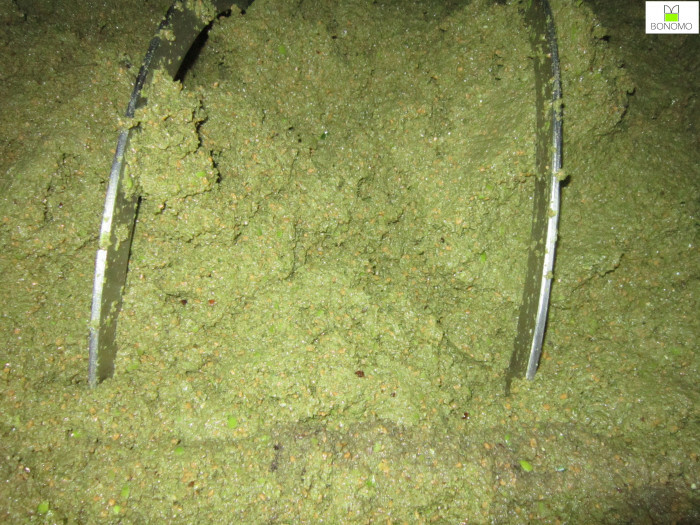 …and ground into this light green paste. 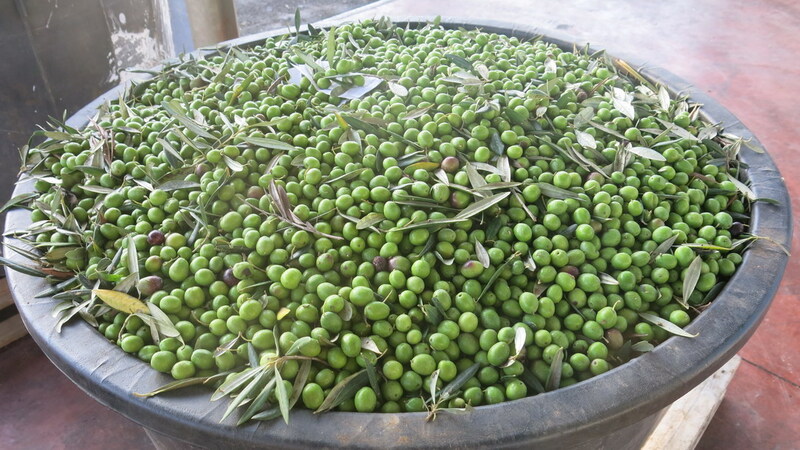 This paste is an emulsion of oil and water naturally contained in the olives. 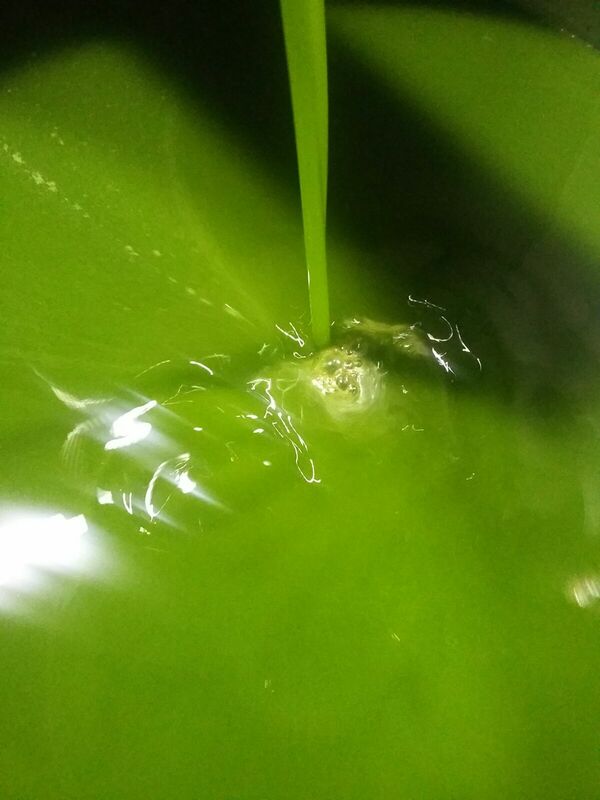 The next process is the separation of the oil from the water and this procedure takes place at cold temperatures to maintain the aromas and flavour of the olive oil. 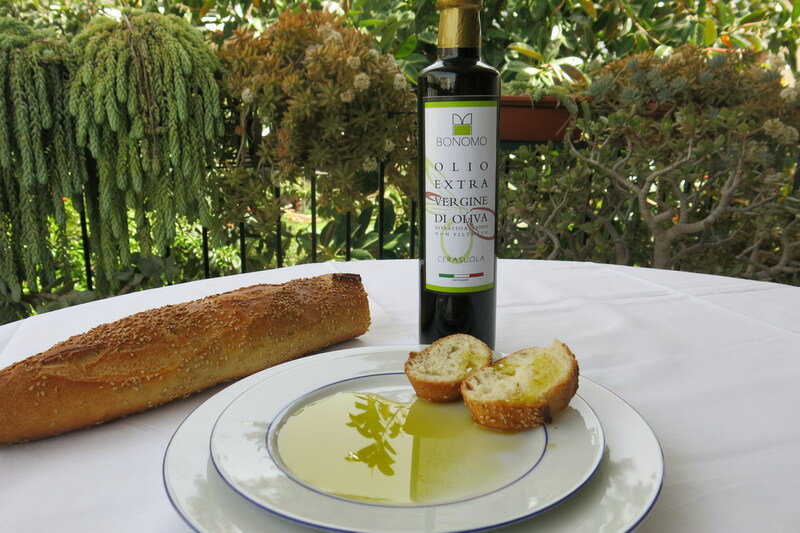 and at last…here we have our genuine Olive Oil! 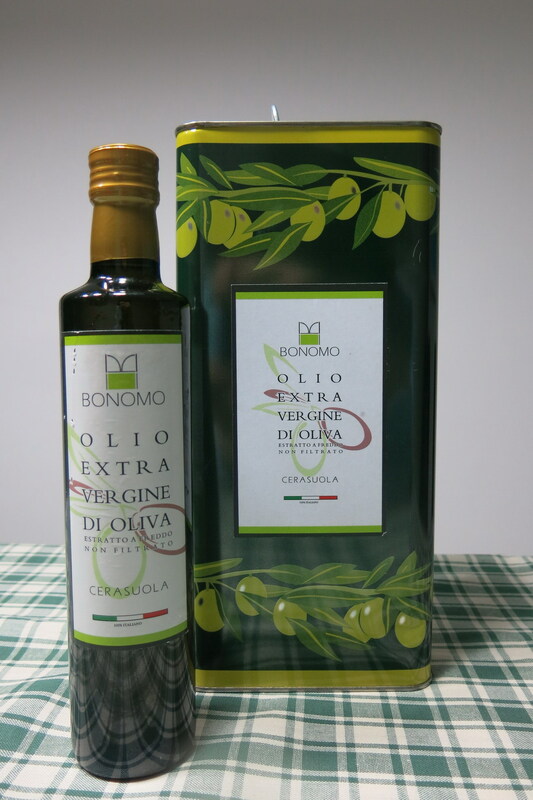 Now we can taste the delicious flavour of our Bonomo 100% Cerasuola Olive Oil . 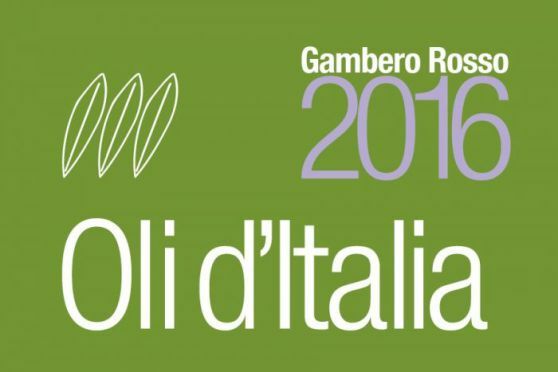 The Bonomo Olive Oil has obtained the Gambero Rosso three leaf-Award and is now in the Gambero Rosso Oli d’Italia Guide.